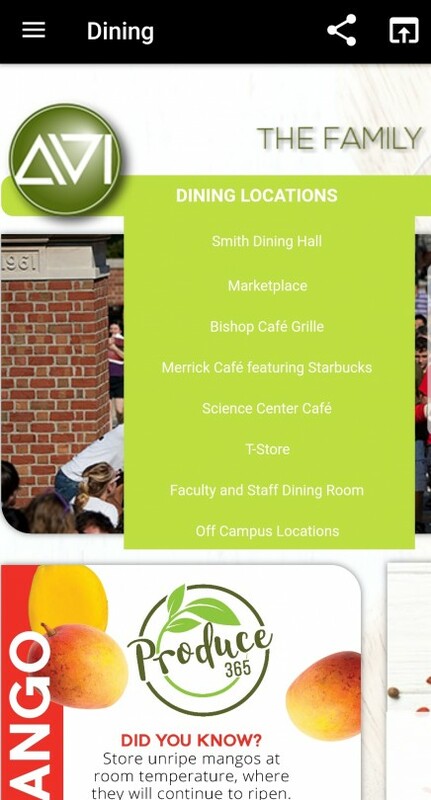 Information Services is happy to offer mobile applications for the OWU community. 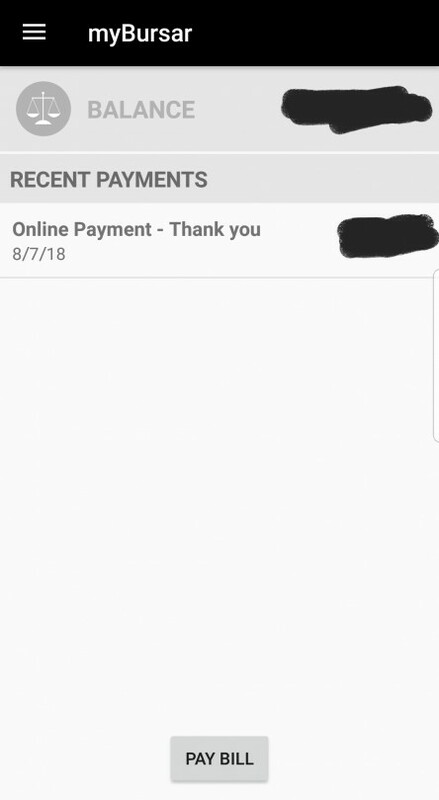 The mobile app is available from the Apple App Store and Google Play for Android. 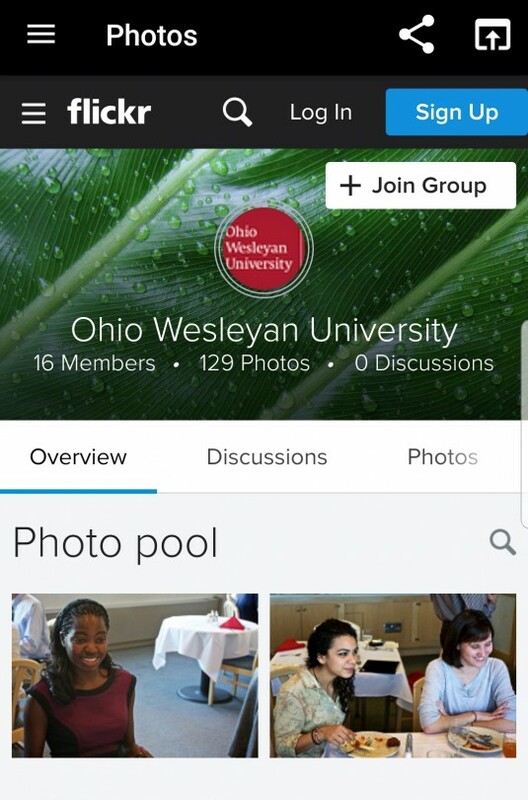 It is a free download for anyone interested in staying connected with Ohio Wesleyan University. 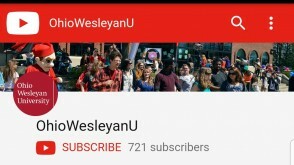 You can read news, find events, see your course schedule, grades, bill, and much more. 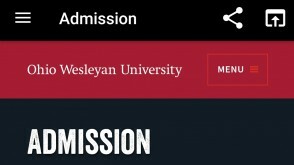 Just download the Ellucian GO app to your device and select Ohio Wesleyan University! 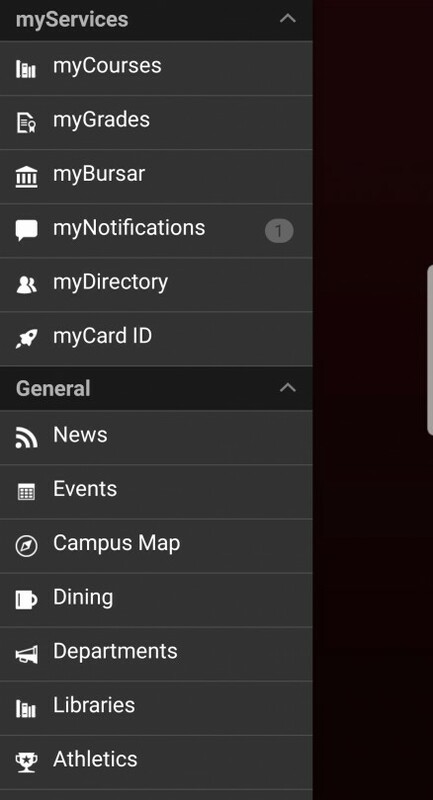 Also try the GET Mobile app to keep track of Dining Dollars and transactions, as well as depositing funds onto your OWU ID card. 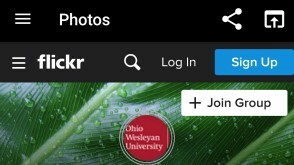 Please email helpdesk@owu.edu if you have questions or suggestions for the mobile applications. Provides a listing of your current courses, instructor contact information, meeting times and location, and course description. 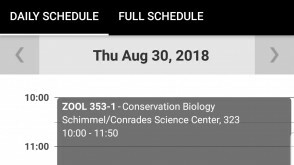 Faculty can also access the class roster. 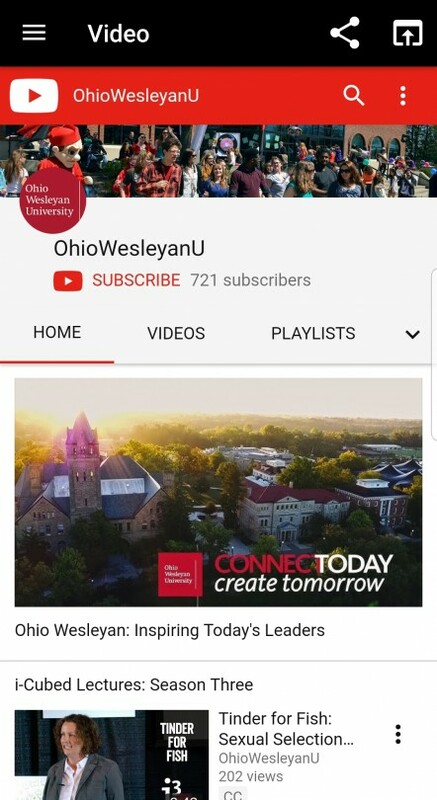 Searchable online directory of OWU faculty, staff, and students. 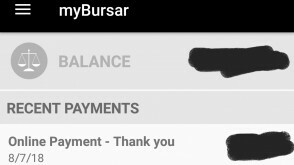 Check your account balance and pay your bill. 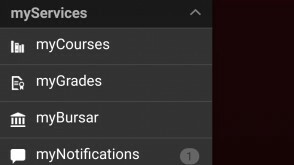 Shows the grades you have received for all OWU courses you have taken. Alerts students of important notifications and holds. 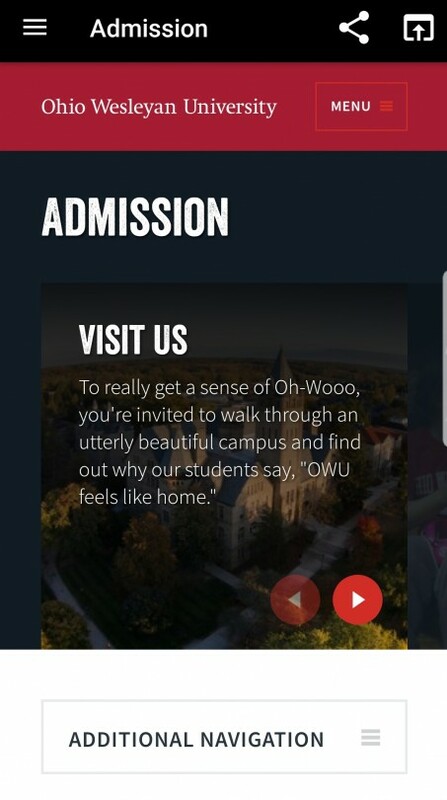 This application pulls in news feeds from OWU. The articles can be read on the device, as well as emailed or shared using social media. Listing of department and office contact information. Displays contact information, library guides, and searchable databases. 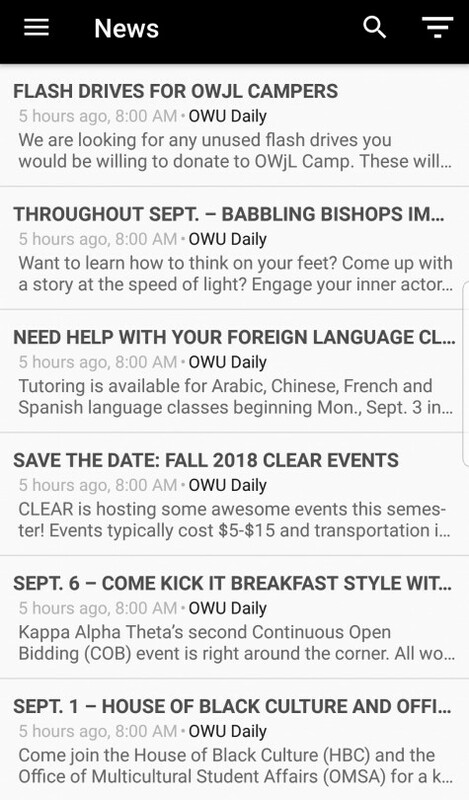 See OWU events by type in list, day, and monthly views. 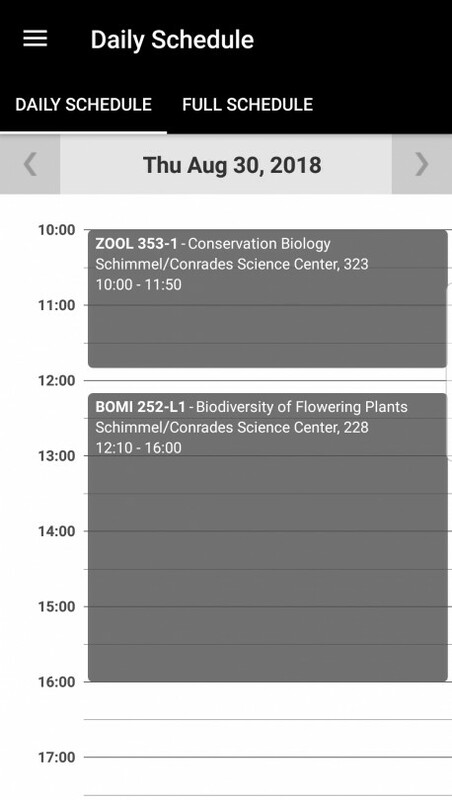 Events then can be selected to display more information. 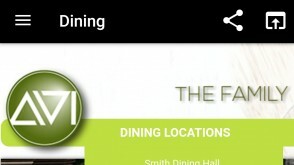 Search the campus phone and email directory. 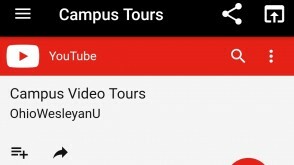 Campus Map: Shows a campus map with buildings labeled. GPS enabled devices allow you to see where you are in relation to the campus. 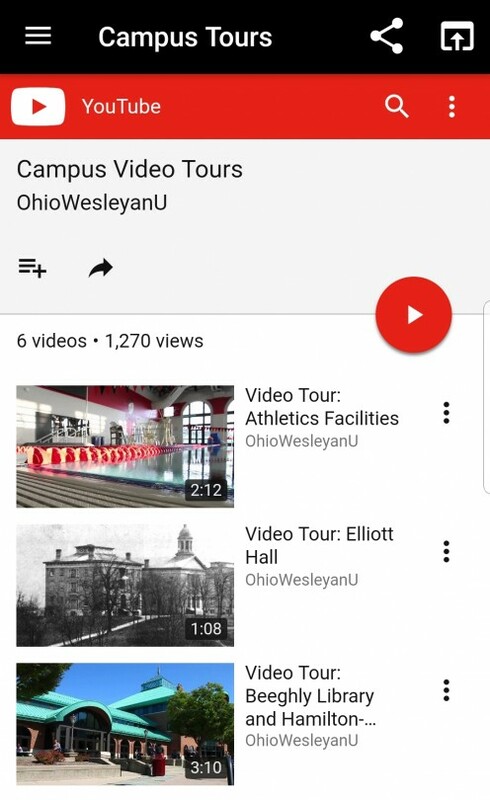 Shows audio and video for a number of prominent OWU buildings as if you were on a guided tour. 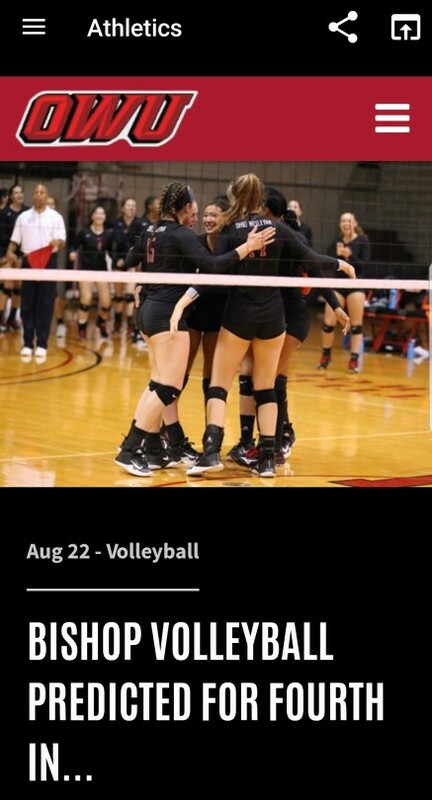 Provides sports news, schedules, and results. 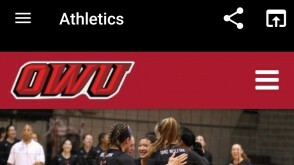 Links to information pertaining to OWU Alumni and Friends, including online giving.